By all means skip this boilerplate if you've seen it before. Our biggest chunks of airtime this week—ten minutes each—went to a brace of highly distilled instrumental soli by modernist mandarins from England. 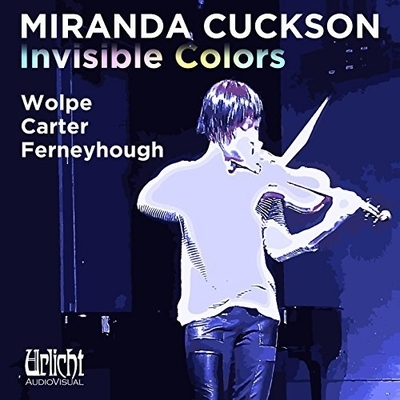 The violinist Miranda Cuckson led with Brian Ferneyhough's "Intermedio alla ciaccona," the concluding track from her album Invisible Colors (Urlicht-UAV-5979). Mistakenly announced as "Unsichtbare Farben," the scratchy, vaguely dissonant meditation dips, slips, slides, and jabs, and skitters its labyrinthine way from nowhere in particular to nowhere else in particular. A high priest of the so-called New Complexity, Ferneyhough (*1943) provokes extreme reactions from those who take cognizance of him at all. In my ears, his writing here suggests some urgent warning encrypted in some alien code—an impression no doubt prompted by Cuckson's detached, methodical, yet oracular examination of the "text." Reportedly the favorite pupil of the Dumbledorian Olivier Messiaen, George Benjamin (* 1960) began bewitching the new-music crowd at a scandalously early age. A few seasons back, his grisly but exquisitely crafted magnum opus Written on Skin—a nightmare to set beside Margaret Atwood's The Handmaid's Tale—caused an international sensation. A new album, mostly under the composer's baton, couples Into the Little Hill, a Pied Piper opera in miniature to chill the blood, with the Dream of the Song, a concert piece redolent of Moorish Spain (Nimbus NI 5964). The monkey in the middle as it were—and our selection—is the self-standing flute solo Flight, lovingly executed by Michael Cox, a member of the crackerjack London Sinfonietta. Flight, of course, takes many forms. If, in your mind's eye, the title conjures up swallows in their arabesques or eagles riding the thermals, think again. Benjamin's winged creature mostly takes short hops from branch to branch, bursting into scraps of melody now and then or yielding to surrounding silence. 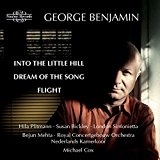 For a more representative glimpse of Benjamin's diaphanous palette, we dropped in "My Heart Sings as the Sun Comes Up," the exquisitely layered finale of Dream of the Song, bathed in magic-hour radiance by the countertenor Bejun Mehta, the Royal Concertgebouw Orchestra, and the Nederlands Kamerkoor. Graun's senior by some twenty years. With a single exception, Lezhneva's program consists of material never previously recorded. For a first impression, I very deliberately picked "Il mar s'inalza e freme" ("The sea rises and shudders") from L'Orfeo: of all poetic conceits, none fired up a baroque composer's imagination like a storm at sea. Sure enough, the number simply bristles with trills and runs. None of this fazes Lezhneva, who dances through the steeplechase with a smile you actually hear. Each note chimes like a bell and blooms like a flower. Who could ask for anything more? Exhilarating as it is, I miss the razor's edge of tragic temperament a Cecilia Bartoli brings to such pyrotechnics. 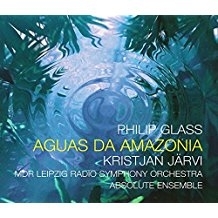 You will hear no reservations here about Aguas da Amazonia, by Philip Glass, on Kristjan Järvi's recording with the MDR Leipzig Radio Symphony Orchestra and the Absolute Ensemble (Orange Mountain Music OMM 0115). In sections named mostly for tributaries of our planet's mightiest river system, the suite seems to owe its genesis to the Brazilian quintet Uakti, whose members played exotic instruments of their own, home-made of such materials as pipe, glasses, metal, rocks, rubber, and even water. "For Uakti," Glass has written, "everything can produce sound." From preexisting pieces, Uakti assembled Aguas da Amazonia, recorded in 2006, now orchestrated by Charles Coleman, at Järvi's request, for the full panoply of customary symphonic instruments. Against the flood of buzzy tremolando that sets "Madeira River" into flooding motion, a low-voiced brass solo (tuba? Wagner tuba?) launches into a minor-key anthem of stupendous majesty, modulating at the close to major in a blaze of still greater glory. 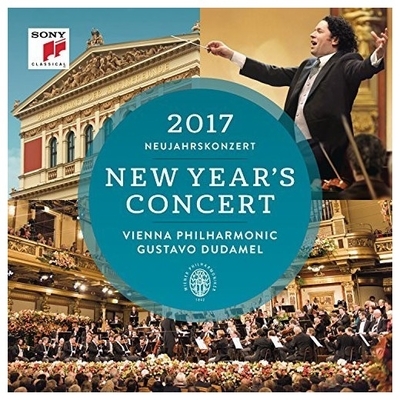 For a chaser, we dropped in on the Vienna Philharmonic under the electric baton of Gustavo Dudamel on the occasion of the orchestra's New Year's Concert 2017 (Sony Classical 88985376182). Under the shield of a recent Supreme Court ruling, we gave Johann Strauss I's "Red Indian Gallop" a cautious spin, quickly to discover that "Stampede of the Cossacks" would have made a more plausible title. By tradition written in stone, these ritual New Year's bashes close with the "Radetzky March," from the same pen, and so did we, adding our dopey metronomic applause to that of the revelers in the hall.